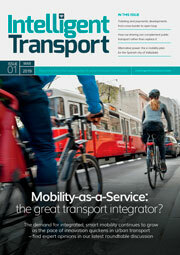 Transport for London (TfL) reveals the first two London boroughs that can provide entirely accessible bus stops. According to TfL, the City of London and the Royal Borough of Kingston upon Thames have become the first two boroughs in the Capital to ensure all their bus stops are accessible. By working with boroughs and other local authority partners, TfL aims to increase the number of accessible bus stops, currently at 83 percent, to 95 percent by 2016. The development will be financed by an £18m bus stop accessibility fund announced by the Mayor of London in 2013. The vast majority of the capitals 19,500 bus stops are not on the TfL Road Network (TLRN), where 96 percent are already accessible. The accessibility criteria means bus stops must include a kerb high enough for a wheelchair ramp to fully deploy and for the step into the bus to be at a reasonable height for older or disabled people to board. It also has a protected ‘clearway’ so only buses can use the stop and it is free from any street furniture or clutter blocking access to the doors. Scott Lester, TfL’s Interim Head of Borough Projects and Programmes, said: “I am delighted that both the City of London and the Royal Borough of Kingston upon Thames have achieved this milestone. We continue to do all that we can to make the Capital’s extensive bus network even more accessible, ensuring that our services meet all customers’ needs. 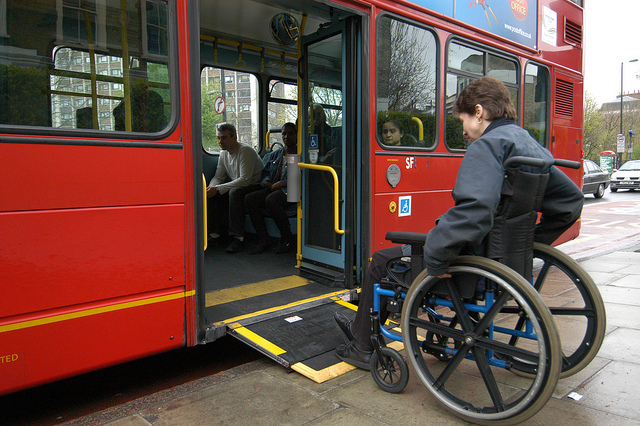 All 8,700 buses in the TfL fleet, excluding small number of heritage Routemaster buses operating for tourists, are low floor, wheelchair accessible and fitted with wheelchair ramps. Buses are also able to ‘kneel’ to pavement level to make it easier for older or disabled passengers to board.